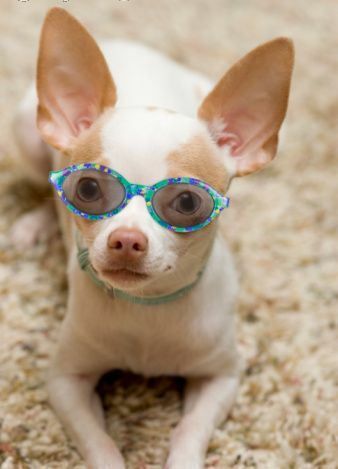 This is not me, but still a cute Chihuahua. I had an owie in my eye. Still do, actually. As a little Chihuahua that’s not good. Somehow I scratched it. I had a hard time keeping it open. Eye injuries in dogs is not to be ignored. We could lose our eyesight. A scary trip to the “vet” showed a scratch that needed salve. It’s always best not to let these things go untreated. I could have lost the sight in my eye. Of course I let the doc put the salve in my eye. But at home I fought my daddies. I refused treatment. Yet still they persisted and now my eye is getting better.